A boy must leave his home and find another. 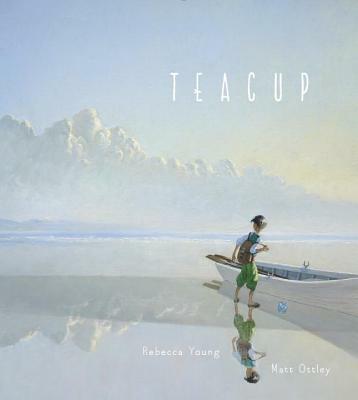 He brings with him a teacup full of earth from the place where he grew up, and sets off to sea. Some days, the journey is peaceful, and the skies are cloudless and bright. Some days, storms threaten to overturn his boat. And some days, the smallest amount of hope grows into something glorious. At last, the boy finds land, but it doesn't feel complete . . . until another traveler joins him, bearing the seed to build a new home. With lyrical text and gorgeous artwork, this poignant picture book is perfect for discussing all of life's toughest challenges -- a big move, a divorce, long-distance separation, or even the current refugee crisis -- in a way that's reassuring and inspiring for children and adults alike.